You are more than your Genes! Home/Beauty Health, Functional Medicine, General Medicine, Holistic Medicine, Integrative Medicine, Primary Care, Women's Health/You are more than your Genes! Your DNA is important but it doesn’t have to be your destiny, learn how to prevent chronic medical conditions with genetic testing! A few months ago I went through a tragic ordeal and experienced some medical problems. Of course, this perplexed me because I’m a physician, I eat well, I exercise, I meditate and I take tons of supplements, how could I be sick?! I live the ultimate healthier lifestyle!! Instead of getting frustrated or discouraged I took things and my health to the next level! Naturally, doing what I do, I had to dig deeper and got my genetic testing done. I can’t tell you how liberating and life-changing that test was for me. It explained why I was tired even though I was taking some supplements and also showed me what my risk factors are for cancer and heart disease was! Both, which run rampant in my family! I now view my health much differently knowing my risk factors taking prevention to a whole different level! Having this information has drastically changed how I practice medicine on a different level as well as how I approach and manage patient care. Every body is unique, different, and every treatment plan needs to be catered to the individual. There is no one answer for everyone. I was already doing this with my patients but this knowledge helps patients get better verse just treating symptoms. I highly encourage everyone to do their genetic testing themselves! (I do not endorse any particular company nor do I have stocks in any company.) 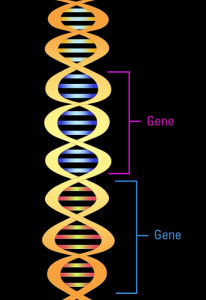 Your genetic makeup actually does matter but you also have a control of any mutation you may have. 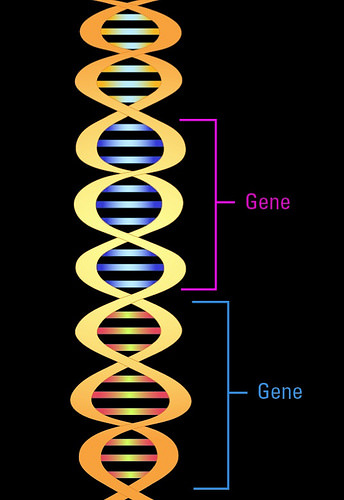 Your genes don’t have to be your destiny, and that’s what most people don’t realize! Just because you are predisposed to breast cancer or heart disease doesn’t mean you HAVE to have it! Genetics truly is the future of medicine. This truly is the key to prevention. This knowledge really is empowerment for the future. Where can one get genetic testing ? You can use 23andme salivary test online. It’s $199 and a really good test for a comprehensive genetic analysis. I would then recommend going to a functional and integrative medicine doctor to intepret those results for you.